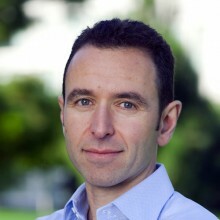 Alexander (Alex) Rosen is a Managing Director, Ridge Ventures (formerly, IDG Ventures). He has been working with early stage technology companies as an active investor and advisor for over 20 years. Today, he focuses on investments in cloud infrastructure, SaaS applications, ad tech, and consumer marketplaces. In particular, he’s passionate about companies at the intersection of consumer and enterprise technologies. He currently serves as board director at Expect Labs (voice-driven intelligent interfaces), Krux (data management platform SaaS), Minted (design-driven e-commerce marketplace), Smartling (translation management SaaS), Tempered Networks (security for industrial IoT), Uplift (payment management and marketing for online merchants), and Vouch(reputation-based lending). He also led IDG Ventures’ in a number of companies including Appboy, Chubbies, Datanyze, Fastly, Indiegogo, Prism Skylabs, The League, and We Heart It. Previously, he was a General Partner at Sprout Group, where he was head of the Internet and Software group. Alex has been a board member, observer, or investor at Flowdock (acquired by Rally), MyNewPlace (acquired by RealPage), mySimon (acquired by CNET), Quintus (IPO, acquired by Avaya), Fogdog (IPO, acquired by GSI Commerce), Sapient Health Network (acquired by WebMD), SideStep (acquired by Kayak), Rhythms (IPO, acquired by AT&T), and Vidible (acquired by AOL). Alex started his venture capital career as an associate with General Atlantic Partners, served as an advisor to Vector Capital, and developed software for Telcordia and AT&T Bell Labs early in his professional life. He holds BS degrees in electrical engineering and economics from MIT and an MBA from Stanford University.